Ahh, the holidays. So much time for festive music, decorations, and scented candles. And seemingly never enough time to find the perfect gift for your loved ones! 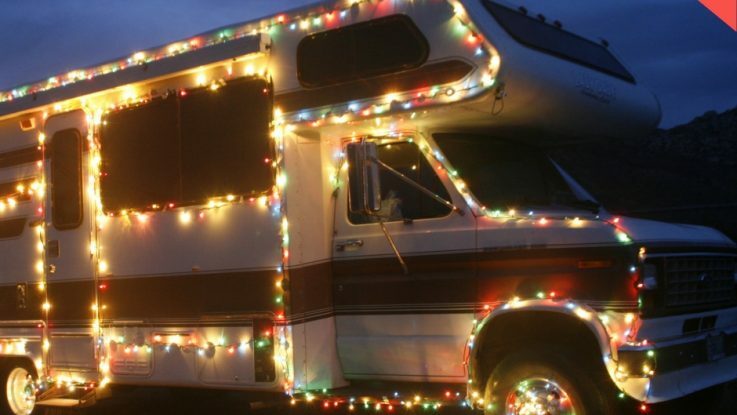 Let FMCA help you find the right gift for the RVer in your life. Read FMCA’s RVer Gift Guide. 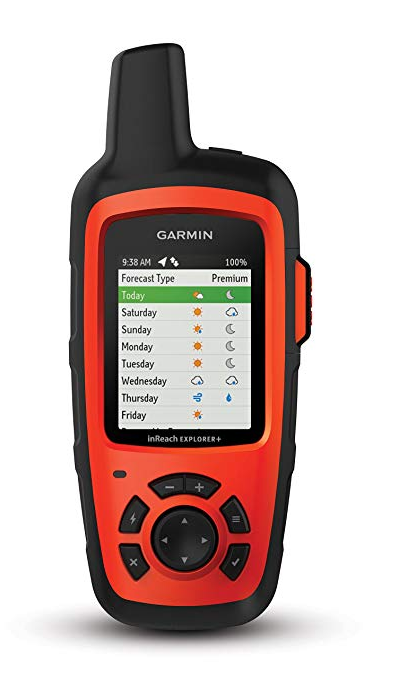 Although a little pricey, an emergency satellite communicator is smart to have if you’re caught in a natural disaster or unforeseen circumstance. Amazon has plenty of options to choose. Check them out here. No external power source — no problem! 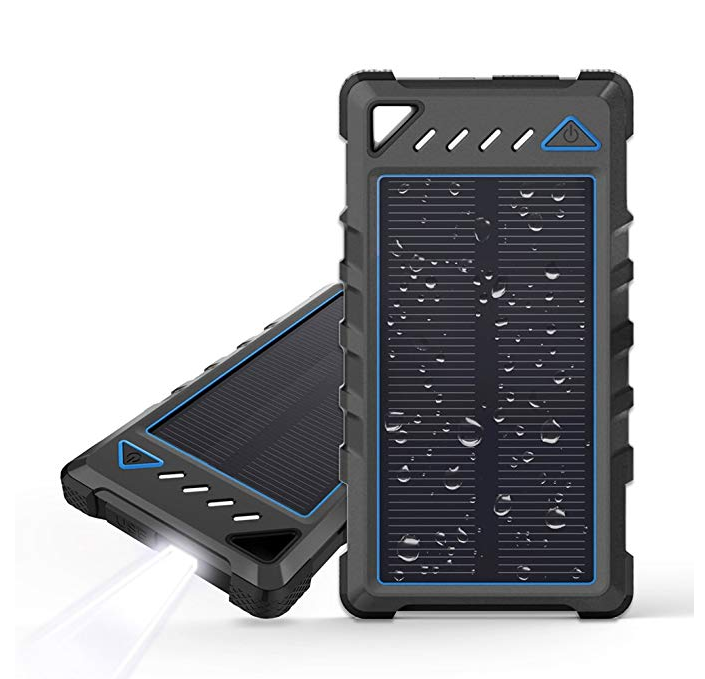 This solar charger would come in handy for any RVer. Click here to learn more. 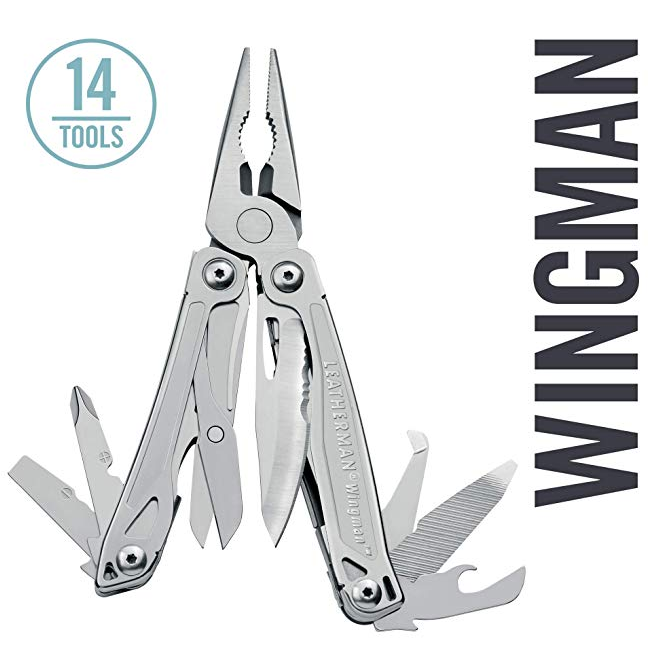 This 14-in-1 multi-tool can keep an RVer prepped for any adventure. A wind and rain-proof jacket is practical and important for any adventurer. 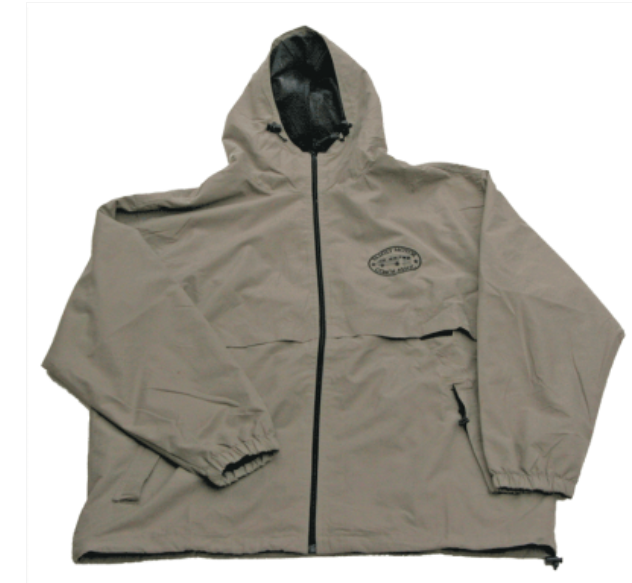 Click here to check out outerwear options from the FMCA Store. We know it’s a cliché… being disappointed when you open a gift and see socks. 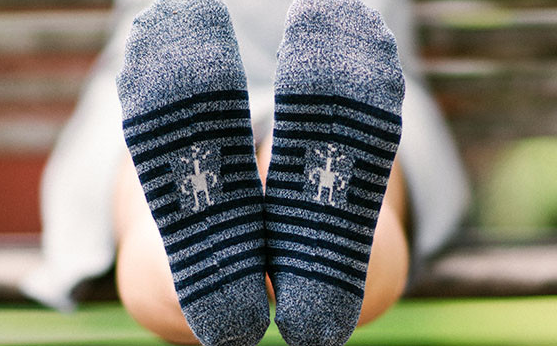 But wool socks are cozy and a great go-to gift, especially when it comes to traveling during colder months. Do someone’s feet a favor! Shop here or here for two brands that will give your feet extra warmth and comfort. 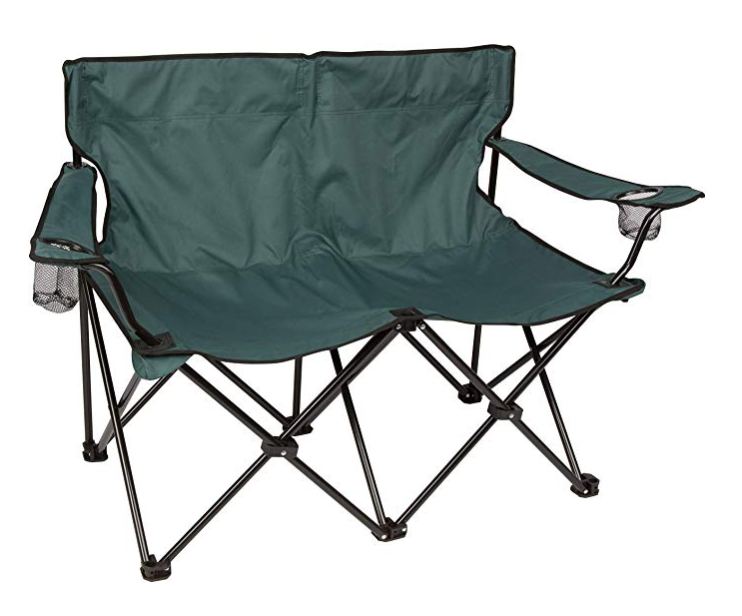 A loveseat/double camping chair could up your favorite RVer’s camping gear game! Again, there are tons of options in terms of pricing and brands, so check out Amazon or do a quick web search. 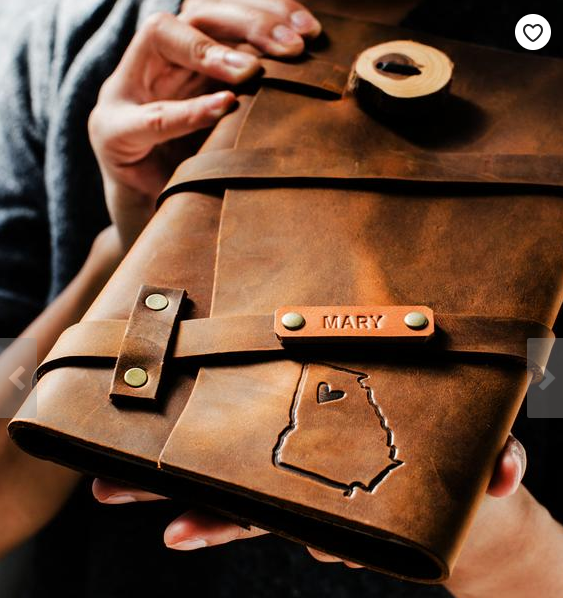 A travel journal is a thoughtful gift. Browse through thousands of options here. How can you not order these? 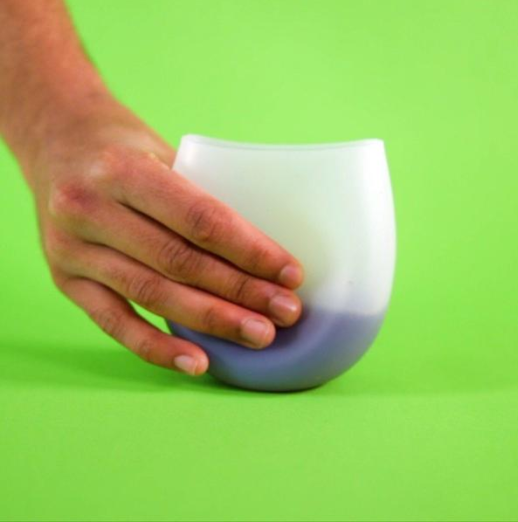 The Unbreakable Wine Glass will never shatter, so it can go anywhere and everywhere. Does your RVer travel to unique breweries or vineyards? With this gift, they can preserve caps and corks from their travels. 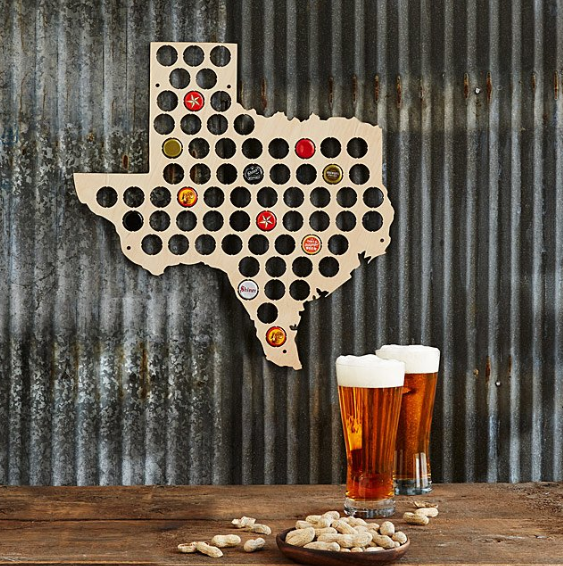 These birch plywood, state-shaped boards are lightweight and can be hung easily on an RV wall. Click here for the beer and here for the wine. 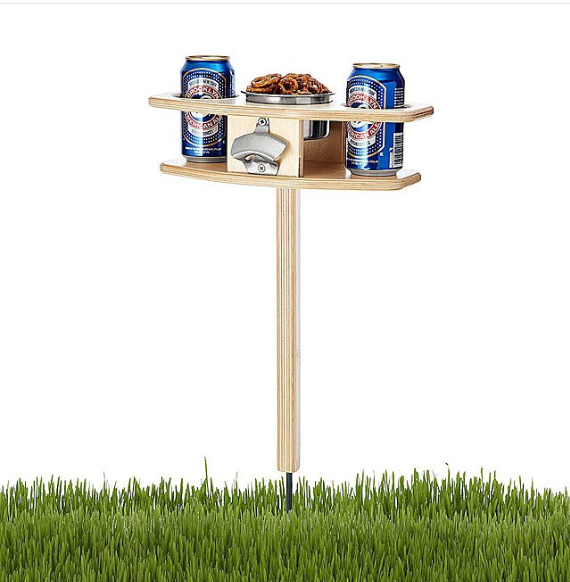 The description of this product says it best: “Designed to hold everything you need when it’s beer o’clock and too nice to be indoors.” Can’t say no to that! We imagine this table staked between two lawn chairs at a campsite. Check it out here. This will strengthen a pup’s paws after an active, adventuresome day! Check out this great gift idea here. 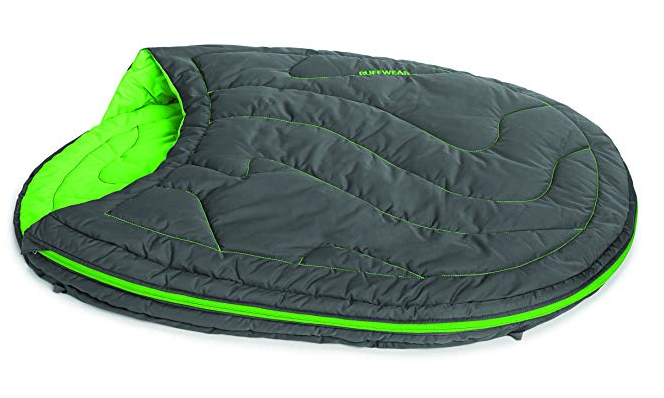 This lightweight, packable dog bed is perfectly insulated to give Fido a comfy spot. It’s ideal for RVing adventures! 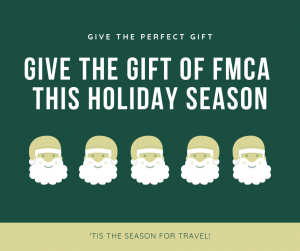 And don’t forget the gift that keeps giving all year-round: an FMCA membership. Consider purchasing a membership for your favorite RVing friend. 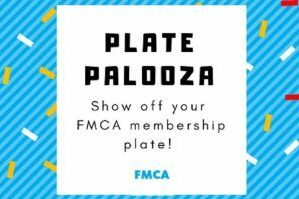 Click here or call the FMCA Membership Team at 800-543-3622. As Winston Churchill once said, “We make a living by what we get. We make a life by what we give.” What’s your favorite part of gift giving? Comment below.